Sooooo not back on track! This week could be regarded as the biggest failure so far in the USA 2011 training campaign. As soon as I realised I wasn't going to get the full 90 miles in, I more or less gave up today. Yet again, responsibilities away from running have interfered with the schedule. And by "things" I mean work, family life and an impromptu but very welcome short break to London. These distractions, in the grand scheme of things, are probably more important than me going for a run and I'm really finding it difficult to get too disappointed about this week's shortcomings. These are very confusing times for me and my training. Part of me is really glad to have managed over 50 miles yet again at just over an average of the targeted 8 miles per session. My recovery time after the 15.4 and 13 mile runs was very pleasing indeed. Also, the fact that I managed my 2nd quickest 6 miles of the year was pretty good. It was on the back of a rest day however. As I said the other day, though, I'm after putting my body through as much stress as possible day in, day out. I've failed to do that this week. I'm now at a place, fitness wise, where 50-60 miles a week just isn't managing to stress me out to the extent I need or want. That, in itself, is quite a pleasing situation to be in and is a good indicator of how far I've come since the days of training to run from John O'Groats to Lands End. 50 miles a week back in those days was a big deal and I certainly knew about it at the end of the week. My gut feeling now is that the comfortable threshold is between 75 - 80 miles. Once I get more high mileage weeks under my belt I'll have a better idea. I'll leave the reasons for this to the scientific ones amongst you. I don't want to say too much but things are going on behind the scenes to give me more time to train. I really feel that a minor tweak to my lifestyle is key to the success of being able to get all of my training done and getting the right amount of family time too. I'd already made sacrifices and changes well before now. I very rarely socialise. I don't touch a drop of booze and I've forgotten what my mates look like. Not a bad thing some might say! I still manage to go to every home game and the odd away game mind. There are some things that shouldn't be sacrificed! I'm typing this blog entry on the way to London. In order to make the most of this rare family weekend away I've not even brought my trainers. I have, however, got my Run Geordie Run t-shirt with me. It was spotted by a nice lady in the service station and she stopped to ask about the run. The impromptu Q&A session was going quite well until she asked "Is Burger King part of your diet then?"! As I said at the start of this blog entry, this "could be regarded as the biggest failure so far in the USA 2011 training campaign". It could be! But I just don't feel that it is. Far from it. Even taking into account the fact that I'm almost 40 miles short of the intended target. Without thinking too much about it though, I've felt much bigger disappointments during this campaign. For now, I'm going to enjoy the next 3 days in London. We'll be back in time for the match on Monday and 3 points will cap things off just nicely. It was a complete and utter disaster yesterday (Tuesday) where, due to circumstances beyond my control, I was unable to get any running done. There is hardly a week goes by these days where something unexpected happens to upset my routine. I've just got to put up with it, though, and do what I can when I can. Having said that, I'm very confident of getting all 90 miles done this week. And that is despite having a mini break to "That London" this weekend. Yes, I'll be taking my trainers! Anyway, the main reason I'm confident of getting the mileage done is all due to 2 good runs today. The first was a 6 mile effort in 00:49:30. I ran the first mile in 00:07:46 which was way too quick given all of the running I've still got to do this week. I felt very fresh indeed due to the rest day. This is not what I'm after in terms of my "no rest, no recovery" approach to training. One of the main aims of my training schedule is to put my body under as much stress as possible day in, day out. Learning how to best recover under these circumstances is possibly the single most important lesson I can take to the USA in 2011. With this in mind I've got some very testing runs planned starting in September and they will feature more regularly during 2010. Watch this space! Meanwhile, back to today's running. I followed that 6 mile run up with 13.1 miles after work. The time was nothing to write home about at 02:15:59. Once again though, I'd finished a lengthy run very comfortably indeed. In that respect, I could draw a lot of comparisons with this run and the hilly 15.4 mile run last Sunday. Oh and a few more runs of late now I think about it. Today's endeavours mean that I've salvaged this week's training schedule, after yesterday's blip, having clocked up 45.5 miles. I'm well ahead of the required average 8 miles per session too, which is a bonus. That figure stands at 11.4 miles per session. It's all set up for a successful week. Looks like I'll have to do 2 runs in London on Saturday though. It's never straightforward these days! A massive thank you is due to Jane Bradbury who pledged £100 to the 2 charities yesterday. Jane, it seems, has running plans of her own and left the following message on justgiving.com "...you'll be giving me inspiration for the runs I'm planning next year ... mere strolls in the park compared to what you're doing!". I've got 2 things to say to that. Firstly, my running started in 1993 with a "mere stroll in the park". Before you know it Jane, you will be running Marathons and perhaps even more. Please keep me posted! Secondly, as well as raising funds for The Children's Foundation and St Benedict's Hospice, part of the Run Geordie Run mission is to inspire other people to do amazing things. It made my day when I read the message and echoes the sentiments in a few emails and messages I've received recently. So that's a huge thank you to Jane and as a result of her generosity the fund is edging ever closer to the next major milestone of £3000. I shudder to think what we will have all raised by the time I reach New York in just under 2 years time. My original plan to do 2 sessions was scuppered today when a few things "got in the way". I was resigned to doing my training in 1 session after work. In terms of energy I left it far too late to run with my last intake of pasta coming 5 hours before I set off. Nevertheless, I was determined to continue the good start to the week. I set off with no particular route in mind other than to do a massive loop around Gosforth and explore some new paths and roads. Fawdon was the first port of call and by the time I ran through it and reached the Great North Road it was quite apparent that I had no energy left. It was a shame really as I'd started the run feeling really good with no aches or pains from yesterday's hilly effort. At the 3 mile point I had a choice to make. Would I continue on or head back to base which was only half a mile away? It wasn't a decision really! I don't think that anyone who is training to run 3100 miles in 100 days should ever take the easy option in training. So continue on I did, all the way down the Great North Road to Exhibition Park and up Claremont Road. By now I was running 11/12 minute miles with the same feeling of hunger that I've had so many times in the past. The difference this time though was that I could very easily tolerate it. I may have had no energy left but as long as I reduced the speed I would be able to get round the route. In fact, I only burned 1051 calories throughout the whole run. Once I made it to the summit of the run in Cowgate, I was quite relieved as the last couple of miles was downhill. I made it to the finish in 02:02:35 having ran 11 miles. Brilliant! Slow! But brilliant! Now what lessons can I take from this? None really! I've just got to accept that during a normal working week, my running and eating schedule will be disrupted. At least, during the 3100 mile run in the USA this lack of energy should never happen. I'll have a support team at my beck and call. I could have done with them today on the Great North Road for a quick massage and a bowl of pasta. Wholewheat of course! Week 43 gets off to a great start! For once on a Sunday I was up and out early for what was the first run of week 43 of the USA 2011 training campaign. This was thanks to arranging to run with Mike Lewis who got to Shotley Bridge at a time when I'm usually tucking into my bacon sarnies. On the breakfast menu today was porridge and 2 bananas and this served me well on the run as energy levels never wavered. This morning's route was an extension of the now familiar 11 mile route that I do quite often. There were a few extra hills thrown in for good measure and all in all it was a very enjoyable, scenic run done at a comfortable pace. It would have been über comfortable for Mike as he's used to running a lot faster than the pace we managed today. At the finish line my immediate thought was that I'd felt more tired on some of the 7 or 8 mile runs I've done in the past few months. All in all, it's a better than usual start to a running week. I'm looking to get 90 miles done this week with an average of 8 miles per session. This particular run gives me an excellent chance of hitting those targets. Once again, though, my focus will be on nutrition as much as running. Grazing on wholewheat pasta salads after a lunchtime run will be the key to being able to have the energy to do the run on the evening session. So there is now only 74.6 miles left to do this week! Watch this space for further progress over the course of the next 6 days. Monday 17th August - Personal Training Session. (01:30:00). Thursday 20th August - Personal Training Session. (01:30:00). Saturday 22nd August - David Fairlamb's Beach Bootcamp. (00:47:47). Sunday 9th August - 11 mile run, Shotley Bridge to Whittonstall and back. (01:46:16). Monday 10th August - 5 mile run, Race Course. (00:47:03). 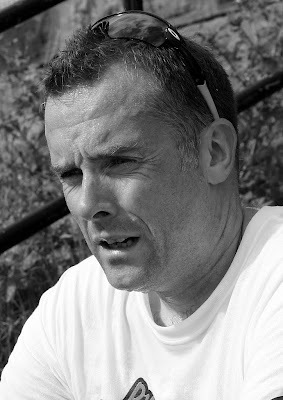 Monday 10th August - 3 mile run, Shotley Bridge. (00:33:51). Tuesday 11th August - 6 mile run, Town Moor. (00:51:04). Tuesday 11th August - 11 mile run, Shotley Bridge to Whittonstall and back. (01:48:13). Wednesday 12th August - 7.1 mile run, Sandy Lane. (01:08:57). Thursday 13th August - 6.2 mile run, Jesmond Dene. (01:00:38). Friday 14th August - 6.3 mile run, Gosforth Tour including a loop around the Marriott. (00:57:06). Friday 14th August - 7.5 mile run, Sandy Lane and Race Course. (01:06:22). It seems that for one day, just one day, I actually managed to get the nutrition level right to allow me to do 2 good runs. The first, was a quicker than of late 6 mile effort around the Town Moor. Not bad considering I'd just had a bowl of watery porridge (or oat soup! I haven't yet decided) from the canteen for breakfast and 2 bananas. Later on in the day I decided to have another go at the hilly 11 mile run that I managed on Sunday but failed to do last night due to a lack of energy. Other than the last 1/2 mile energy levels were really good with the last 4 miles all done under 9 minutes each. Like Sunday, though, I lost a bit of time on the hills. As I lose weight I should improve in this area. In the past, I would never have been able to do 11 miles after a day's work and a quick lunchtime run. The difference today was that I'd been grazing most of the afternoon on a wholewheat pasta salad that I'd made. Today, I've got a wholewheat spaghetti salad to get me through the day. I should hopefully have only 40/41 miles left to do this week by the end of the day. Oh and I can't finish this post without mentioning colleague Paul Taylor who waved 3 rashers of bacon and numerous twix bars under my nose yesterday. What a guy! Ok, so this week's plan is to focus on getting my nutrition right while running 90 miles. Without having the usual junk (chocolate, crisps etc) to rely on I really struggled today. The 5 mile run at lunchtime was fairly uneventful. However, this evening's 11 miler descended into farce as I simply ran out of fuel and only managed 1.5 miles before heading back to base! I must be running at quite a calorie deficit given that I've burned 2300 calories in less than 24 hours through exercise alone. During that same time, I've eaten far less than I'm used to with porridge for breakfast, a ham salad sandwich and jacket tatey for lunch and a chicken salad for tea. Tomorrow, I'll be attempting the same 2 runs (5 and 11 miles) with a slightly bigger helping of porridge for breakfast and a home made wholeweat pasta salad to be eaten during the course of the day. Oh and I've got some nice fruit to try. If I don't get the right amount of food right tomorrow, I'll simply try again the following day. I must admit that I'm missing chocolate very badly indeed! It's been a week since I've had a bar. Hopefully the cravings will subside soon! On the other hand, already I feel as if I've detoxed slightly. On tonight's 11 mile run, the aim was to try and beat the time I set 2 weeks ago for this course. With the first mile done in 00:08:31 I thought I was in with a decent chance. However, despite 4 of the 11 miles being done at a sub 9 minute mile pace it wasn't to be and I fell short by only 5 seconds. Looking back at the split times it seems that I lost it on the hills (as pictured in the elevation profile diagram) with 3 miles at over 11 minute mile pace. Still, I'm very happy at making a good start to week 41 and I hope to continue that today with 2 good sessions. By the end of today, I also hope to have less than 70 miles to do this week. As I mentioned the other day, today's focus is not 100% on running but on the nutrition around it. Watch this space for more food related blog posts than usual. I've recently reported the fact that there are now over 1000 members in the Run Geordie Run Facebook group and that the fund has exceeded £2,500 for St Benedict's Hospice and The Children's Foundation. The latest landmark is the number of hits this blog has had since it started in January 2007. Last week this figure burst through 80,000! Brilliant! Week 41 promises to be a tough one for different reasons! It's day 1 of week 41 of my USA 2011 training schedule. This week is going to be a little different to previous weeks. In the 14 weeks that I have managed to run 50 miles or more there has been one common theme; hunger! More often than not, as soon as a long run is over I've eaten the wrong types of food. I've always looked for a quick fix to restore lost energy forgetting that I should be eating to aid my recovery. An example of this would be a 5 mile run in the morning, followed by porridge for breakfast (ok so far). Then, say, an 8 mile run at lunchtime followed by sandwiches, crisps and 2 or 3 bars of chocolate. The meal following the evening run would usually have no quality but plenty of quantity about it which leads to various cravings the following day. Those cravings being for salt and sugar. Now what are the two types of food I'd most likely go for in those categories? Bacon and chocolate!!! Consequently, the more I run the more I eat poorly and it ends up being a vicious circle. So this must come to an end this week. Running 90 miles in training was quite a shock to my system and I've coped with it quite badly from a nutrition point of view. This week I will be focusing fully on nutrition. I don't expect to get it right this week or next and there will be times when I run out of energy. But, just as I have learned to run considerable distances over the years, I must now learn to back that up with the correct food. I'm very lucky to have David Fairlamb and Mark Fleming on board giving me the right advice. They've been giving me this advice from day 1 and I haven't always listened. I had a right ticking off last week from them and I haven't gone near a chocolate bar since! Back to this week though and I'll be starting proceedings today with an 11 mile run. This particular route has over 1700 ft of climbs in it and I'll be looking to better my time from 2 weeks ago (01:47:11). The route can be viewed here. Tuesday 4th August - Personal Training Session. (01:30:00). Wednesday 5th August - Bleep test. (Level 11.4). PB! Wednesday 5th August - Personal Training Session. (01:15:00). Saturday 8th August - David Fairlamb's Beach Bootcamp. (00:51:25). There have been a few landmark's recently. The fund breaking through £2,500 was the one I reported last week. I'm now pleased to report another landmark of a slightly different kind. This one is not significant in a financial sense but from an awareness and promotional point of view it very much is. At the time of writing, there are now over 1,000 members in the Run Geordie Run Facebook group. It's great to have this merry band of people on board. Through Facebook, I'm able to send a message to all of them every now and again with information on progress being made in training and such like. It's also great to read the messages of support that are sent and recorded in the group's forum (or "wall" as it's known in Facebook terms). I don't think I've fully realised the potential of Facebook yet, or Twitter for that matter where I also have a presence. Hopefully, this will become more apparent over the coming months. But for now, it's great to have such a large number of supporters. It gives me great pleasure to report that the 100th Run Geordie Run t-shirt has now been sold. 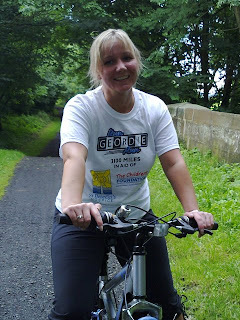 In fact, it was local lass Karen Mason (pictured left on a recent bike ride) who bought the 100th and 101st t-shirts. One for her and one for her son. So at the time of writing, a grand total of 109 t-shirts have been sold, raising £1147.84 for St Benedict's Hospice and The Children's Foundation. There is still plenty of stock left so if you would like one of these exclusive Run Geordie Run t-shirts then please follow this link for information on how to order. As an added bonus there is also a little competition for all buyers where all you have to do is to "go on holiday or do something dangerous or unusual and get your photo taken wearing the t-shirt.". The winner, to be judged on September 10th, will receive a decent prize. T-Shirts are available in sizes S, M, L, XL and XXL and are priced at only £10. The full £10 goes to the 2 charities; St Benedict's Hospice and The Children's Foundation. Yes that's the FULL £10. Brilliant! This was made possible by Peter McCowie who paid for the production costs and our friends at customplanet.co.uk. The t-shirts are screen printed for durability and feature the Run Geordie Run logo as well as those of the 2 charities. The details of the 3100 mile run are on the back of the t-shirt. All in all it's a cracking bit of kit to wear to the gym or just to knock around the doors in while supporting 2 excellent local charities. Follow this link to see front and back images of the t-shirt. Sunday 26th July – 11 mile run, Shotley Bridge to Whittonstall and back. (01:47:11). Monday 27th July – 5 mile run, Race Course. (00:44:43). Monday 27th July - 9.4 mile run, Gosforth to Rowlands Gill. (01:38:05). Tuesday 28th July - 7.6 mile run, West of Gosforth Tour. (01:08:07). Wednesday 29th July - 7.1 mile run, Sandy Lane. (01:04:32). Thursday 30th July - 5 mile run, Gosforth to Exhibition Park and back (00:45:12). Thursday 30th July - 6.1 mile run, Jesmond Dene (Top road). (00:57:33). Thursday 30th July - 6.4 mile run, Town Moor. (01:01:26). Friday 31st July - 16 mile run, Gosforth, Wheatslade, Jesmond Tour. (02:59:22). Saturday 1st August – 16.4 mile run, Blaydon, Newburn, Derwent Valley Tour. (03:50:00). 90 or 91 miles done? There is a bit of confusion and frustration at the end of week 39. The planned 16.4 mile route started in Winlaton, went through Blaydon, over the Newburn Bridge, over the Scotswood Bridge, up the Derwent Walk, through Rowlands Gill, Linztford, Hamsterly Mill and Ebchester. At the 12 mile point last night my Garmin GPS watch froze. I had to resort to switching it off and back on again. When it came back on line I was initially pleased to see that my run details had been preserved. Then I noticed that the mileage was back to 11.6 miles. What was that all about! I continued along the A694 and rang for Katy to pick me up at the 16.4 mile point which was 2 miles from home by my calculations. I've tried to transfer the run data this morning from the watch and there are 2 issues. The first one is that although I can see the data in the watch it won't transfer to Garmin Connect. The second and most important issue is that the watch is saying that I ran 17.4 miles. So which is it Garmin? Did I run 16.4 or 17.4 miles? And why can't I get the data off to analyse it? The main thing is that I appear to have ran at least the required 16.4 miles this week and hit the target of 90 miles. I'll now have to waste time looking at how to get the stats off my Garmin. Failing that I'll use mapmyrun.com to calculate the mileage. As it stands I have a dead Garmin 305 Forerunner and a seemingly unreliable Garmin Forerunner 310 XT. That represents a lot of investment by me. These things aren't cheap. More importantly than that is the fact that when I'm running across the USA I can't afford to have this kind of unreliability. Mind you, I will have the mileage mapped out by other means beforehand. I'm very annoyed with Garmin at the moment! 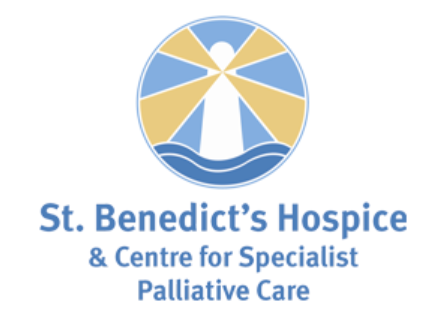 Thanks to a flurry of t-shirt sales over the last couple of days the fund for St Benedict's Hospice and The Children's Foundation has now passed £2,500 and stands at £2,514.84. Of that figure, £1,474.84 has already been passed to both charities. The remaining amount is in the form of conventional pledges and will be paid by the sponsors when I successfully complete the run in 2011. Thanks to everyone who have contributed so far. Rest assured, that I'm training as hard as possible and spending every bit of spare time I have planning the next big run. 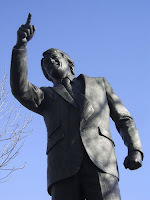 Goodbye Sir Bobby - One of the finest men I'm ever likely to meet. Death is an inevitable part of life but when the world loses a great man such as Sir Bobby Robson that seems no consolation or comfort. "I did an interview for Sky Sports News the following May and photos of this appeared in the programme. The interview involved me doing keepy uppies with Peter Beardsley and John Carver at the side of the pitch. Peter did about 10 and so did John before I wellied the ball into the Milburn Stand! HAVE IT!!!!! Moments later, Sir Bobby Robson arrived to do an interview. He was a patron of the Football Aid charity. After the interview I got to talk to him for 5 minutes. He took one look at me and said "Did you manage to last the whole 90 minutes?". We then talked about my Mam's Uncle - Charlie Wayman. Charlie played for Newcastle in the forties and was a prolific little goal scorer. Bobby remembered lots about him and it was great to talk to one of the finest men I'm ever likely to meet. ".